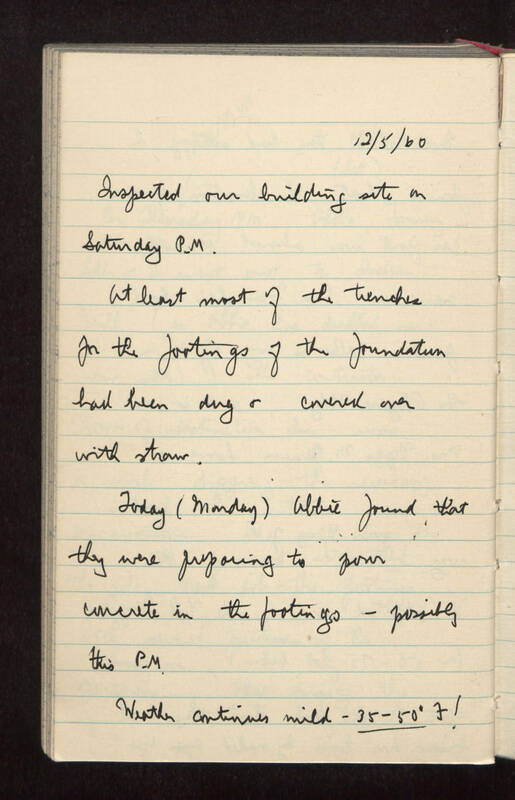 12/5/60 Inspected our building site on Saturday P.M. At least most of the trenches for the footings of the foundation had been dug or covered over with straw. Today (Monday) Abbie found that they were preparing to pour concrete in the footings - possibly this P.M. Weather continues mild: 35-50 degrees Fahrenheit !